Game 147: Red Sox at Rays - Hey Rays, Check your standings lately? Can you hear it? 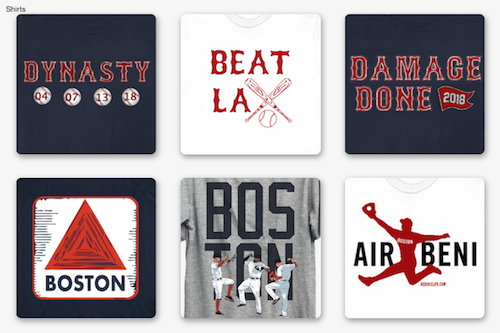 That’s the sound of printing machines over at Majestic Athletic warming up, getting ready to print several thousand American League East Division Championship shirts with the Red Sox logo on them. No, this isn’t to jinx a team that sits 8.5 games up in the division with 16 games to go and a Magic Number of 10. This is help form the reality in your mind that a team that went 69-93 a season ago is about to finish off one of the best turnarounds in Major League history. At 88-58, the Boston Red Sox are 19 wins above last season’s mark. Even if they finish .500 (8-8) the remainder of this season, that puts them at 96 wins. Yes, a mirror – reverse – image of a season ago. That’s all fine and dandy, but the task at hand is beating the Tampa Bay Rays for a second straight night and winning their MLB-leading 31st series of the year. The Rays (78-65), who are that team 8.5 games back - Got that, Rays scoreboard standings operator? Good. – sent their ace, David Price, to the mound Tuesday, only to lose 2-0 and muster four hits off Clay Buchholz (3) and Junichi Tazawa (1). Craig Breslow and Koji Uehara also pitched, but neither allowed a base knock – Breslow in 2.0 innings and Uehara in 1.1, picking up his 19th save. It’s Ryan Dempster on the mound tonight for Boston. Dempster has won each of his last two starts, giving up seven runs on 11 hits with 12 strikeouts against the White Sox and Tigers. 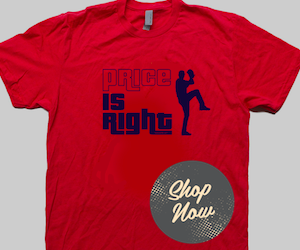 He is 8-9 with a 4.79 ERA overall. The Sox will face Alex Cobb, who is 8-3 with a 2.99 ERA. Cobb missed two months of the season and is 2-1 in five starts since, but 0-1 in his last three. At home, however, Cobb is 5-0 with a 2.93 ERA. Against Boston this season, Cobb has a 5.39 ERA in three starts, including giving up a season-high six runs in four innings his last time out. Dustin Pedroia has been a leadoff man his whole life, according to him. So, seeing his name penned in at the top of the Red Sox lineup comes as no surprise to the feisty second baseman. He went 1-for-4 in Tuesday’s game in his first game at the top since 2009. With manager John Farrell wanting to keep a lineup as much intact as possible, it’s likely that Pedroia will remain there until (if) Jacoby Ellsbury returns. It was 12 years ago when the world as we knew it changed forever. That fateful September 11th will remain heavy in our hearts, and just like in 2001, the United States turns to baseball to help ease the pain. From all of us at RedSoxLife, here is a big thank you to all the true heroes who serve our great country in a magnitude of ways. From the firefighters to police to medical first responders to our troops at home and abroad to the everyday common man or woman, thank you. We shall never forget 9/11.